A car seat is a special device that is required when transporting children in the car. There are several varieties of such chairs, each designed for a specific age and weight of the child. In accordance with applicable law, car seat is necessary for children since their birth. Among the whole range of car seats can be divided into three main categories: chairs for children from birth to one year, equipment-transformers for kids from 1 year to 12 years and special booster seats. Each variety has its own characteristics and features. Carry baby in the front seat of the car are allowed only when using the car seat. However, the safest place in a vehicle is considered a back seat driver. The first category of seats involves two provisions of the child – sitting and lying down. In the supine position transport infants who have not yet learned to sit. This kind of seat is used until, until the weight of the child reaches 12-13 kg. Car seats, transformers are equipped with handy mechanisms that allow you to configure the device individually for each child. In this case means adjustment of seat belts, seat height and its width. Usually these chairs are used up until the child reaches 12 years. 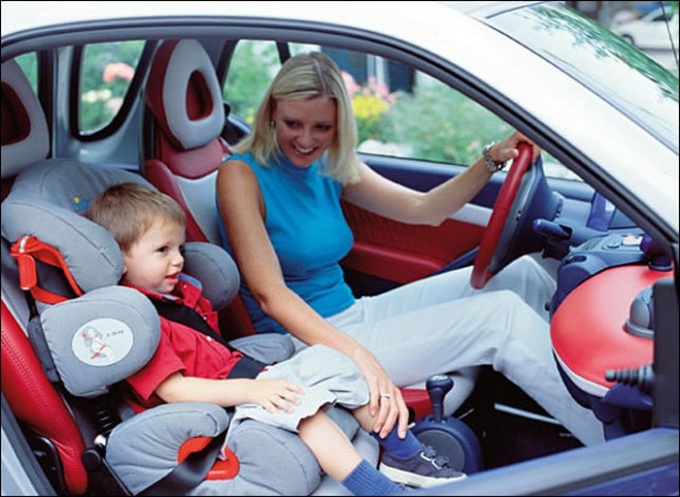 Car seat boosters are devices that are fixed on the seat belt located on the back seat of the car. Special protection ensures the safety of the child during its transportation and is the so-called economical version of the traditional chairs. Use a booster only if the child was 6 years old. Carrier from strollers prohibited use as a fixture for transporting children in the car. This design does not provide security to the baby. Some children refuse to sit in car seats. The main argument in this case is the opinion of the child that he is "not small". Such a statement is difficult to challenge and convince a toddler that the chair is a means of protection even more difficult. To start, try to tell the child about the rules of basic security. Give an example of an accident and possible injuries. This should be done very tactfully and carefully. Never tell scary stories and even more do not show examples of terrible accidents. Imagine that you are a child and try to explain the need for a car seat with "baby language". Offer an ultimatum to the child. Agree to carry him on the car only on the condition that he use the car seat. This argument is not always valid because not all children love to ride in the car. For parents, their carriage is more often a necessity than entertainment. If the child thinks like an adult, tell him about the system of penalties provided for by the legislation. Children from an early age need to understand that there are certain rules, the execution of which is mandatory. Children of school age can and must explain the SDA.